World football’s governing body FIFA has slapped Ghanaian match referee Joseph Odartei Lamptey with a life ban after finding the official guilty of manipulating the outcome of a World Cup qualifying match. Lamptey took charge of the South Africa versus Senegal World Cup qualifying match on November 12, 2016, in Polokwane when a ball into the Senegal penalty area hit defender Kalidou Koulibaly on the leg. Despite no appeals from the South Africa players, Lamptey awarded a penalty, much to the disbelief of the Senegal team. Thulani Hlatshwayo stepped up to put Bafana Bafana 1-0 ahead from the spot on 43 minutes and South Africa eventually won the match 2-1. “The FIFA Disciplinary Committee has decided to ban the Ghanaian match official Joseph Odartei Lamptey from taking part in any kind of football-related activity (administrative, sports or any other) at national and international level for life,” FIFA said in a statement. “The official was found guilty of breaching art. 69 par. 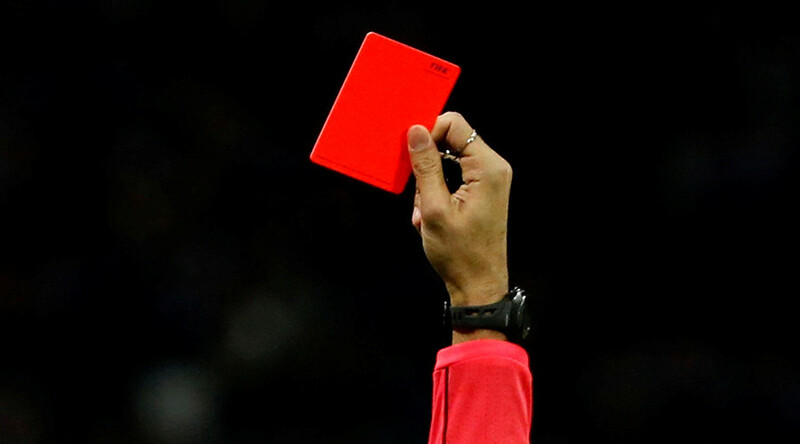 1 (unlawfully influencing match results) of the FIFA Disciplinary Code during the 2018 FIFA World Cup Russia qualifying match between South Africa and Senegal on 12 November 2016. “On the other hand, all charges against the Ghanaian match official David Lionheart Nii Lartey Laryea, whose behavior had also been the subject of investigations, were dismissed by the FIFA Disciplinary Committee. “Further information concerning the South Africa v. Senegal match in question will be provided once the decision becomes final and binding. The 2018 FIFA World Cup in Russia will take place from June 14 to July 15 in 12 different stadiums across 11 different host cities.